Purdue Rowing Team presents “Row-A-Thon 2017” in support of the LUM Good Samaritan Fund. Row-A-Thon is one of the largest donations each year. Each year, the Purdue Rowing Team sponsors “Row-A-Thon” in support of the LUM Good Samaritan Fund. Row-A-Thon takes place all day in the Tippecanoe Mall (Lafayette). The co-ed team members row a marathon of 26 miles in three hours on indoor rowing machines while raising funds for LUM. Stop by the Mall on Saturday, February 6 and check it out. To check out the rest of the PHOTOS from the 2016 Row-A-Thon event, click HERE. LUM applauds the Purdue Crew Team for their support of LUM and their dedication to our community — and wishes them good luck in the their upcoming competitions! The LUM Good Samaritan Fund is an emergency financial assistance program which provides our community’s neediest families and children with a strong and reliable safety net. Help is offered for utility bills, rent, and prescription medications. In 2015, the Good Samaritan Fund provided assistance 2,276 times and $128,165 was shared. This Saturday (February 6) the Purdue Rowing Team will be rowing a marathon in support of the Lafayette Urban Ministry – Good Samaritan Fund. This Saturday (January 31) the Purdue Rowing Team will be rowing a marathon in support of the Lafayette Urban Ministry – Good Samaritan Fund. Donations may be made at the Row-A-Thon this Saturday or by mail. Checks should be made payable to Purdue Crew Club and mailed to Purdue Crew – Row-A-Thon, 355 N. Martin Jischke Drive, West Lafayette, IN 47907. 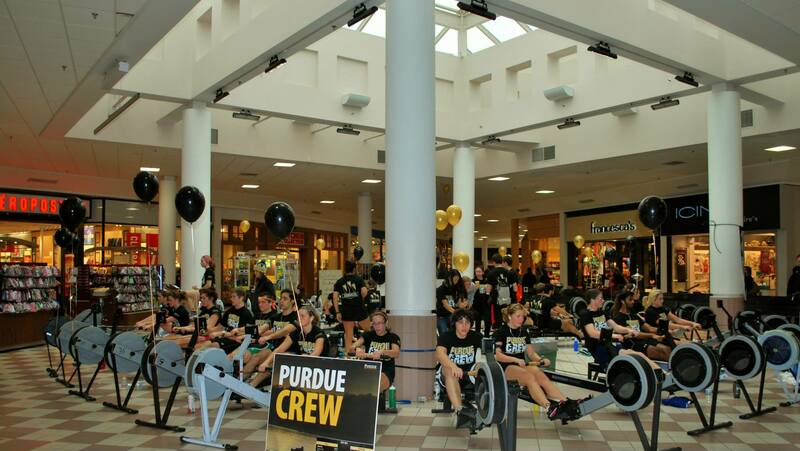 Please note: the funds raised from Row-a-thon will be split 50/50 between LUM and Purdue Crew Team. The LUM Good Samaritan Fund is an emergency financial assistance program which provides our community’s neediest families and children with a strong and reliable safety net. Help is offered for utility bills, rent, and prescription medications. In 2014, the Good Samaritan Fund provided assistance 2,454 times and $128,805 was shared.